Members of HFES receive complimentary registration. Refer to the promotional email recently sent only to HFES members with the subject line "HFES and CIEFH Webinar" or contact us at info@hfes.org. Nonmembers Register Here or, join HFES today! The Chartered Institute of Ergonomics and Human Factors (CIEHF) is hosting a webinar with Human Factors & Ergonomics Society (HFES) of the United States on Thursday 16 May 2019, entitled Medical Devices: US and UK Perspectives. This six-hour session involves speakers from both sides of the Atlantic commenting on regulatory issues, design challenges and human factors developments and applications in the world of medical device design. The activity will comprise six presentations of a maximum of 40 minutes followed by a period of up to 15 minutes Q&A. There will be a five-minute break at the end of each presentation. Attendance is free to CIEHF and HFES members and $80 USD for all non-members. Register via the link below. Delegates may attend for all or part of the webinar. 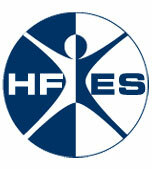 Membership of CIEHF is available at www.ergonomics.org.uk/ Membership in HFES is available at www.hfes.org/join. This is an opportunity for Continuous Professional Development (CPD) and to be involved in an international event depicting an important area in which human factors is making an undeniable impact. Subject to demand and material follow-up events may be scheduled. You will need an internet connection and compatible tablet or computer to take part. This presentation describes the human factors and usability aspects of a medical device development project from project specification through to submission. This will include the specification of users, uses and the use environment, task analysis and use-related risk assessment approaches used to identify risks, controls and critical tasks and design development, including the device, packaging and Instructions For Use (IFU). Formative testing and summative testing, validation of uses and critical tasks will also be described, together with the production of a Human Factors Summary Report. This is required to support the submission and demonstrate the safety and efficacy of the device to meet its intended purpose. Sophie Edmonds-Allen is a Human Factors Scientist with Teva Pharmaceuticals and brings experience from a previous career within engineering design into human factors and usability development and testing within medical device development. Sophie is an Associate Member of CIEHF. To be effectively used, contextual inquiry must be accurate and thorough, and the results must be presented comprehensibly, despite their inherent complexity. Here are some new ideas to address each of these issues—new ideas for gathering information and new ideas for presenting it. Regarding gathering information, two ways of supplementing direct observation and basic video are to apply new, more sophisticated video techniques and to use measurement tools to obtain additional objective data. Regarding the presenting of information, important tools include new types of information graphics and new ways of presenting video. The goal is to provide a body of information that product-development teams can use to create superior devices and systems. Stephen Wilcox, Ph.D., FIDSA is a Principal and the founder of Design Science (Philadelphia), a 40-person consultancy that specializes in optimizing the usability and safety of healthcare-related products. Wilcox is a member of the Industrial Designers Society of America’s (IDSA) Academy of Fellows and served for several years as Chair of the IDSA Human Factors Professional Interest Section. He has given hundreds of invited addresses, has published more than 70 articles in professional journals, and was recently the Editor-in-Chief of the Human Factors and Ergonomics Society journal, Ergonomics in Design. His book, Designing Usability into Medical Products (CRC/Taylor & Francis), co-authored with Michael Wiklund, was published in 2005. Radio guided surgery is a growing field that potentially allows surgeons to identify and remove cancerous cells during surgery. But how do you help inform the design and assess the usability of such a device before you have access to working detectors and radiopharmaceuticals? This talk describes the process and challenges during the development of a laparoscopic gamma probe for radio guided surgery in prostate cancer. Miranda Newbery, MEng, MA, C.ErgHF is a creative design and usability consultant specialising in medical device developments. In 2016 she founded Inspired Usability, a medical device human factors consultancy. She works on early design research through to human factors validation on a range of medical device and combination products. Miranda originally studied Engineering (Cambridge University) and Industrial Design (Royal College of Art) and is a chartered ergonomist with CIEHF. Human factors specialists employ the term use error to describe mistakes that people make when interacting with products. The term recognizes that a mistake may be due to blunder or induced by poor user interface design. Webinar listeners will learn how to take a structured approach to determine the likely root causes of use errors that occur in real and simulated use scenarios. They will learn to (1) develop a hypothesis, (2) examine user’s opinions about an error, (3) inspect the device’s user interface for deficiencies, (4) evaluate the use environment’s influence, and (5) form a final hypothesis or factual finding. Michael Wiklund, CHFP, PE, MS. Human Factors Research & Design, EMERGO by UL. www.humanfactors.emergobyul.com. Michael serves as general manager of the human factors engineering practice at Emergo by UL. He has 35 years of experience in human factors engineering, much of which has focused on medical technology development. He is author, co-author, or editor of several books on human factors, including Designing for Safe Use, Usability Testing of Medical Devices, Handbook of Human Factors in Medical Device Design, and Medical Device Use Error – Root Cause Analysis. He contributed substantially to AAMI HE75 and IEC 62366. He also serves as Professor of the Practice at Tufts University. The Medical Human Factors Network UK was set up in 2018 by Miranda Newbery and Louisa Harvey to help develop human factors practitioners in the UK. The network aims to give the UK HF community more of a voice when discussing key HF topics globally and to keep our community growing. Our initial focus has been on ethics in HF research. This presentation introduces the network, an overview of current HF study trends from an ethical perspective, ethical considerations of HF studies and a proposed consideration for ethical code of conduct for medical human factors research. Miranda Newbery, MEng, MA, C.ErgHF is a creative design and usability consultant specialising in medical device developments. In 2016 she founded Inspired Usability, a medical device human factors consultancy. Miranda works on early design research through to human factors validation on a range of medical device and combination products. Miranda originally studied Engineering (Cambridge University) and Industrial Design (Royal College of Art) and is a chartered ergonomist with CIEHF. The Medical Human Factors Network UK, with the aim of bringing together like-minded professionals and raising the bar with medical human factors practitioners. Louisa Harvey BSc (Hons) MSc is a medical device human factors consultant and founder of Harvey Medical Consulting. With an MSc in Industrial Pharmaceutical Science, Louisa began her career in clinical trials, developing a range of experience in the pharmaceutical and medical device industries in both technical and commercial roles. Working with many Cambridge-based medical consultancies, Louisa has contributed to the design of a range of products from autoinjectors to large surgical systems. Louisa's passion lies in ensuring that the right patients and healthcare professionals are at the heart of the medical device design process from the outset. Louisa specialises in conducting studies with vulnerable patient groups. She is an Associate Member of CIEHF. Submission of HF materials for new devices and combination products to FDA are too often, and unnecessarily, fraught with shortcomings that result in requests for additional information, including partial or complete re-testing. Ron will discuss the major shortcomings observed when reviewing HF at the FDA and continue to observe when working with my current clients, and why these persist. Ron will discuss incomplete identification of critical user tasks, unacceptable HF test methods, incomplete (or meaningless) HF data, inadequate analysis of data, unsupported conclusions regarding medical device or combination product safety and effectiveness of use, and (use-related) residual risk. Ron recently retired from the FDA’s Center for Devices and Radiological Health where he led the development of its Human Factors pre-market review initiative during his 19-year tenure at the agency. He was the lead author of the original FDA human factors guidance released in 2000 and the current HF guidance released in February 2016, which represents the perspective of the FDA on pre-market submission human factors requirements. Ron personally reviewed the HF portion of 1000+ new device and combination product submissions at FDA. He has trained FDA inspectors in HF and participated in Agency post-market responses and recalls associated with use error issues. Email ron@humanfactorsfocus.com. HFES supports the Learn at WORK webinar series.